Despite this, Isaiah rarely gets much attention in our community beyond some scripture-mastery one-liners, a high-endurance sprint through 2 Nephi 12-24, and Handel’s Messiah. Many main figures of the Book of Mormon, especially Nephi, Jacob, Abinadai, Jesus, and Moroni, hold Isaiah’s words in such high regard that a reader simply cannot truly grasp their motivations, sensibilities, personal theologies, and even teachings without understanding what Isaiah means to them. To do that, of course, requires first an understanding of what Isaiah is all about to begin with. The premier LDS Scholar of Isaiah is without a doubt Avraham Gileadi, although noteworthy contributions have been produced by Victor Ludlow, Donald Parry, Hoyt Brewster, Monte Nyman, Joseph Spencer, and Ann Madsen. Gileadi’s most unique contributions to Isaiah studies stem from the work of one William H. Brownlee, an eminent biblical scholar primarily recognized as one of the first people to realize the significance of what was included in the 1946 recovery of the long-lost Dead Sea Scrolls. Gileadi picked up where Brownlee left off, and produced a revision of the 7-part Bifid structure, with some minor adjustments of the part boundaries in an effort to disentangle thematic characteristics from literary genre. The result is seven theme pairs which form a chiastic climax in part 4: the exaltation or humiliation corresponding with a final judgement. Additionally, the even-numbered parts–and their respective boundaries–are even more clearly identifiable by their genre: the story-telling in Isaiah occurs unambiguously in chapters 6–8 and 36–39; chapters 13–23 and 47 are direct oracles to named nations, and chapters 28–31 and 56–59 are didactic messages and sermons that stand in contrast to surrounding poetic or oracular writings. 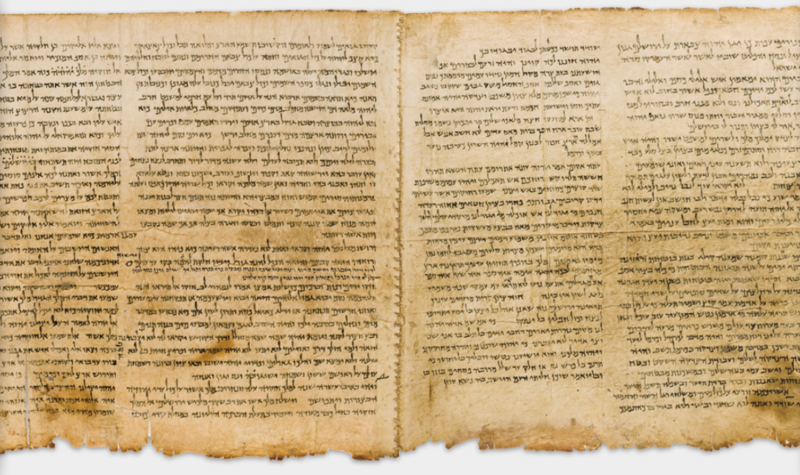 The startpoints and endpoints of the three genre boundaries in each half, combined with the Dead Sea Scroll scribal break at chapter 34, give clarity and precision to where the seven-part (fourteen-sub-part) divisions exists. Gileadi then went on to comb through the text of each of these units and parts and presents specific linguistic, typological, and structural evidence making a case for not only their thematic consistency, but also for a cohesive rhetorical message and prophetic vision that emerges from considering the text in such a paradigm. The results of his study culminated in his 1994 (2012 second edition) monograph The Literary Message of Isaiah. Expecting an everyday Latter-day Saint to open his or her quad, peruse Isaiah at home or in the church foyer, and emerge with an awareness of the implications of Isaiah’s words in the context of a thematically analogous, genre-alternating, seven-part chiastic bifid structure is beyond unreasonable. Yet, if (1) Isaiah’s message is really encoded in this manner, and (2) the Book of Mormon’s account of Jesus commanding his followers to “search these things diligently” (3 Nephi 23:1) is to be taken seriously, then proper attention to not only the text, but also to its structure and subtextual interrelatedness is of paramount importance. Applying new tools to the humanities is of great interest to me. I try to keep up on the (largely unrelated) fields of consumer technologies and biblical/religious studies. In that vein, I have recently created and released an online tool I call the Isaiah Explorer. The answer to the opening challenge of “understanding of what Isaiah is all about to begin with” cannot be arrived at here. But we can get closer to answer with these new tools. It is my hope that this year, making sense of the Book of Isaiah will be less daunting, more fruitful, and most illuminating. Interesting discussion, KC. Certainly Gileadi is qualified to do a scholarly investigation of Isaiah and publish his findings, conclusions, and proposals. Gileadi’s subsequent treatment by the LDS Church (see the linked Wikipedia discussion for a short summary) shows how risky it is for an LDS scholar to do serious biblical work. His experience says more about how messed up LDS disciplinary procedures are and how shallow LDS biblical understanding is than anything about Isaiah or Gileadi, but you can’t really post about Gileadi without some sort of reference to that episode. As far as the thesis about the “real message” of Isaiah being encoded in a double 7-part structure, the key question is whether that sort of analysis is actually present in the text and a diligent reader discovers it, or whether clever readers project it on to the text. I am inclined to think the latter. I think the same for those who detect convoluted numerological or symbolic messages encoded in other biblical texts and for those who project endlessly mutating interpretive schemes onto the Book of Revelation. I think historical-critical approaches contribute a lot more understanding to the average readers of biblical texts, LDS or not, than esoteric readings. Dave, I think things are a bit more complicated than you suggest. While certainly the CES types of the 90’s dismissed Gileadi due to divergence from the Joseph Fielding Smith & Bruce R. McConkie consensus, there were bigger issues. For one he adopts an unity of Isaiah perspective that is difficult to reconcile with most scholarly views of Isaiah. (Ironically in this he was actually much closer to the McConkie view) Secondly his work on a retranslation of Isaiah had many people questioning the details. Not being a Hebrew reader I can’t comment on Parry’s accuracy – but even if he’s completely wrong the controversy clearly was about more than hobbyism about the latterday Davidic King. Which actually isn’t that controverisal – it’s in the March 10, 1844 discourse by Joseph Smith. While different from McConkie’s view, there were a fair number of people who held the non-Jesus view of the Davidic servant around the same time who faced no opposition. See for example Rodney Turner’s 1989 paper. Gileadi’s main problem was much more a bunch of apostate groups in the 90’s got fixated on Gileadi and he unfortunately got caught up in the overreaction. I don’t remember the group – I think it was the Manti break off though and there were all sorts of rumors about what was going on. While unfair to Gileadi (and soon reversed) it didn’t really seem tied to his views on Isaiah as such, beyond the fixation of these groups of a Davidic King outside of Mormonism. Gieadi does a great job of explaining Isaiah as a book of prophecy about the end times as opposed to the way most scholars look at it as a book about past events, written after the fact but in prophetic form. Whether you want claim the book as a tripartite or solo author is a different story but Gileadi does a great job showing how the book ties itself together surprisingly well (if it was written by different authors). He points out how this refers to the conquest of Judah by Assyria and the siege of Jerusalem (the neck). So don’t discount his work, it’s a great springboard for getting serious about understanding Isaiah. I tried to make the point, however, that the genre analysis is far more objective. That the narrative portions of Isaiah appear in chapters 6–8 (stories of Isaiah and Ahaz) and 36–39 (stories of Isaiah and Hezekiah) is a matter of fact. It is uncontroversially “actually present in the text.” Nowhere else in the entire book do we get historical vignettes like this. That they appear on analogous sides of the chapter 34 split is also a fact, although the significance of this positioning is certainly up for debate. The genre for part 6 is a bit trickier to tease out, but it is distinct from its neighboring parts in that it both (1) addresses the audience in the second person and (2) is morally didactic in nature. The criteria delineates both chapters 28–31 and 56–59, again positioned right where they ought to be according to the Bifid model. The implications of the positioning of these genres is subjective, but I think it is worthwhile to first acknowledge the manifest existence of these literary and structural features, and then squabble about their meaning, significance, or implications with regard to a broader message or encoded meaning. Thanks for the response, KC. This still leaves the obvious problem that both thematic and stylistic features are, in all likelihood (depending on your translation model) imposed by the author of the text, not somehow attributable to God or revelation. So Isaiah or a later editor or compiler of the material in what we now have as the Book of Isaiah decided to put two blocks of text that had parallel 7-part styles or themes. What does that mean and why did Isaiah or a later editor structure the material that way? That’s a much different discussion than assuming that God structured the material this way and that it encodes or highlights the “real meaning” of His revelation to or through Isaiah. This point is most obvious in reading the four gospels, each of which show clear thematic and stylistic organization but each do it differently. So it plainly comes from the author of the text. Now recognizing these features in each gospel allows for a deeper reading of the text and its message. But one still has to read critically and ask who puts that deeper meaning or message or view there: the reader? the writer? Jesus? God? The same challenge presents itself with every biblical text, although we rarely have parallel narratives as we do with the gospels to remind us of just how much control the author and/or later editors exercise over the text. It is surprising to me how many people are oblivious to the fact ( or just don’t care about the fact) that Gileadi has refused to integrate the inspired revisions to Isaiah found in the Book of Mormon and the JST of Isaiah into his translation. This should be a glaring and very disturbing revelation to any LDS gospel student that wants to take the study of Isaiah seriously. There are places where Joseph Smith completely changed the meaning of a passage and other places where he added significantly to the passage to restore the meaning of a corrupted text. It is an axiomatic verity within Mormonism that many of the plan precious things have been removed from the Bible, (including Isaiah) which Joseph Smith was involved in restoring. Gileadi arrogantly ignores these revelatory insights and corrections and simply provides his translation of the corrupted ancient texts demonstrating that even though you can put lipstick on a pig, it is still a pig. The fact that Gileadi does not consider the Book of Mormon excerpts and paraphrasing of Isaiah as well as the JST revision of Isaiah to be trustworthy, and worthy to integrate into his translation, shows his lack of regard for the revelatory abilities of the Lord’s Seer. It leads me to wonder if Gileadi is a closet doubter. Another major problem with the Gileadi translation is that you cannot use it to do serious keyword searches between the other standard works. For those who have found the amazing significance of keyword searches using word crunching technology, quickly realize that the minute you deviate from the King James dialect that accuracy of your word searches disintegrate significantly by at least 80%. It is clear to me from doing countless keyword searches between the standard works that the King James dialect is the standard that has been integrated into the standard works that Providence has provided to enhance and greatly speed up the process of searching the scriptures. onewhoiswatching, welcome. Let me ask you this. Why hasn’t the Church of Jesus Christ of Latter-day Saints fully embraced the Inspired Version of the Holy Bible? Despite the relatively low cost to do so thanks to e-publishing, the Church has yet to issue a standalone copy of the Inspired Version as the only authorized version of the Bible and integrate that standalone tome into our canon. Despite the Prophet Joseph’s revelation, the Church continues to cling to a Bible missing many of the plain and precious truths. As you said, “[t]his should be a glaring and very disturbing revelation to any LDS gospel student that wants to take the study of Isaiah seriously.” Does the fact that Church leadership has never consolidated the Book of Mormon excerpts and paraphrasing of Isaiah as well as the JST revision of Isaiah into standalone Inspired Version show a lack of regard for the revelatory abilities of the Lord’s Seer? Does that cause you to wonder if President Nelson is a closet doubter? I answer to your question, the Church values the JST very much. In the early years the church was limited by the fact that the RLDS church held the copyright. Eventually, the LDS church worked out a deal with the RLDS church that enabled them to integrate many of the most important changes into the footnotes of the approved LDS editions of the Bible. . At the time, the RLDS (now Community of Christ) held the copyright on it at the time. That is the short answer. There is much more information regarding the amazing revelatory nature of the JST and the history relating to it. Thank you for the post and the interesting conversation in the comments. Very interesting. I’ve heard of Gileadi’s work but have not yet dug into it. My major reservation with the 3-author theory is that in the NT, Christ quotes from all the sections and attributes them all to Isaiah. So there’s that. I’m with KCK, in that studying the cultural context of the book and the meaning behind the idioms has done more to enlighten me than studying the structures and chaisms. YMMV. Actually, the LDS Church provides more than footnotes. They have dedicated a section just following the Bible Dictionary that contains “Excerpts Too Lengthy For Inclusion In Footnotes” AND The Pearl of Great Price, which is accepted as scripture, contains the Book of Moses which is actually taken directly from the JST version of Genesis. The first chapter sports a very revelatory body of work that is not in the KJV. Additionally, the PofGP provides the JST version of Matthew 24 that has some significant inspired changes to the text. Those two parts of the PofGP which have been accepted and canonized as scripture stand a witness of how the early brethren felt about the veracity of the JST. During the succession crisis, Brigham Young and his brethren of the Twelve made great attempts at getting Emma to hand over the work of translation that Joseph did over to them but to no avail. They understood full well just important it was. You can be sure that the JST would be the approved Bible translation of the church if they had been successful in their attempts. After Emma gave the work to the RLDS church to publish, the LDS church could not publish it because of copyright infringement. It took years of softening between the two rival groups before the LDS church was able to strike a deal with them and obtain permission to use parts of the JST in their scriptures. As I recall, the LDS church had some historical documents that the RLDS church wanted and a trade was proposed and executed. “The Joseph Smith Translation, or Inspired Version, is a thousand times over the best Bible now existing on earth. It contains all that the King James Version does, plus pages of additions and corrections and an occasional deletion. It was made by the spirit of revelation, and the changes and additions are the equivalent of the revealed word in the Book of Mormon and the Doctrine and Covenants. For historical and other reasons, there has been among some members of the Church in times past some prejudice and misunderstanding of the place of the Joseph Smith Translation. I hope this has now all vanished away. Our new Church Bible footnotes many of the major changes made in the Inspired Version and has a seventeen-page section which sets forth excerpts that are too lengthy for inclusion in the footnotes. Reference to this section and to the footnotes themselves will give anyone who has spiritual insight a deep appreciation of this revelatory work of the Prophet Joseph Smith. It is one of the great evidences of his prophetic call” (Sermons and Writings of Bruce R. McConkie, p. 289).